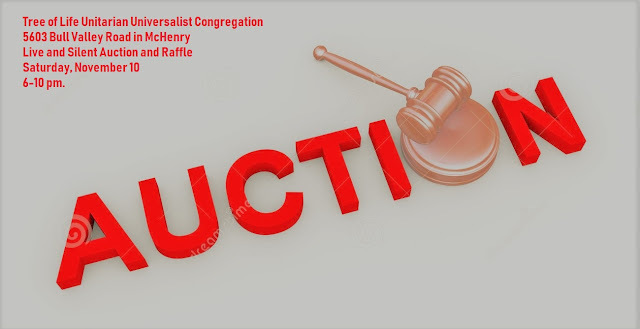 The Tree of Life Unitarian Universalist Congregation, 5603 Bull Valley Road in McHenry, will hold its 2018 Live and Silent Auction on Saturday, November 10 from 6 to 10 pm. Although there are a wide variety of goods, services, gift baskets, and restaurant packages offered, the Tree of Life’s annual auction is best known for its many custom gourmet dinner parties, holiday and other occasion theme parties, a barn dance in a real barn, and several outdoor adventures. Among the items offered will be at least two Christmas trees decorated with a wide variety of gift cards including dining, entertainment, grocery and retail stores, and gas cards. 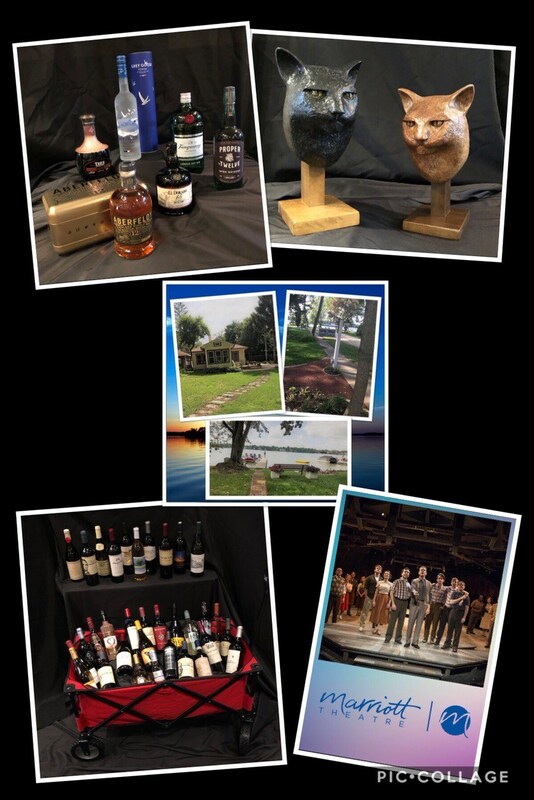 In addition to the live and silent auctions there is a raffle featuring five unique prizes—a two day stay at the Lake Cottage vacation home for up to four, a wine wagon filled with 33 bottles of fine wines, a stock-your-bar package of six top-shelf liquors, two fine art busts of cats by sculptor Bill Stone, and a Marriott Lincolnshire Theater package gift certificate for two tickets to a play, dinner, a night at the hotel, and breakfast. Raffle tickets are $5 each or 5 for $20 and can be deposited in sealed containers for the prizes of choice. Winners will be announced at the end of the evening. The Frothy Boys will entertain with their bowling shirt a cappell stylings. 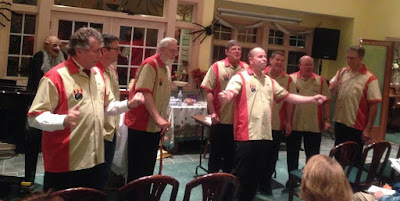 Ron Relic will be the genial auctioneer and the evening will be enlivened by entertainment by the Frothy Boys a cappella ensemble There will be special activities for children, as well. Coffee, soft drinks, and adult beverages will be available as well as hors d’oeuvres. A portion of the proceeds goes to PADS to support their new permanent year-round shelter site in McHenry which hopes to open in June 2019. The auction is free and open to the public. For more information call Tree of Life at 815 322-2464, e-mail office@treeoflifeuu.org , or visit https://www.facebook.com/events/311964716062678/?active_tab=discussion .